We’ve learned that two Americans were among those injured in the terror attack on a Berlin Christmas market this week, and we’re learning more about the Tunisian man believed to have carried it out. 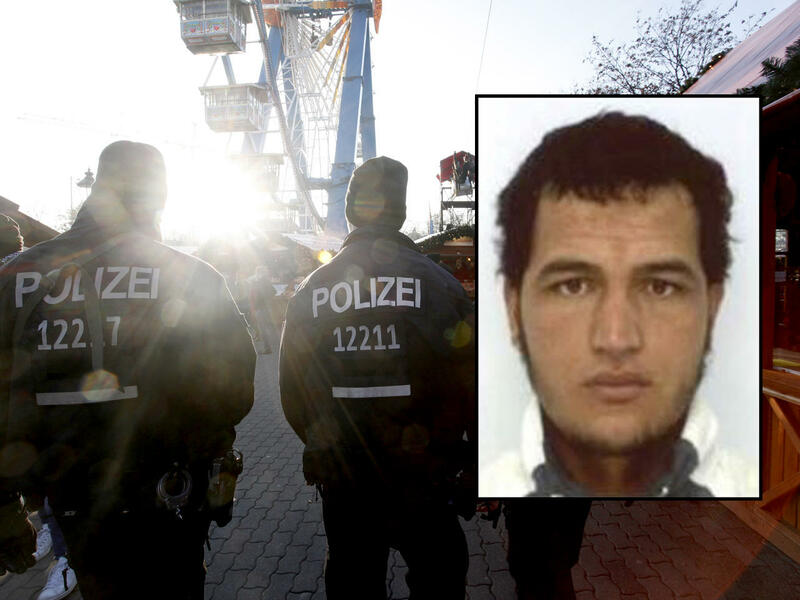 Anis Amri is the subject of a massive manhunt, and his past shows police in Europe have good reason to worry that he is still on the loose. A new criminal case raises questions about how some in the medical community are pushing the use of addictive painkillers. Six former executives and managers from an Arizona-based drugmaker face charges over what a federal prosecutor calls a racketeering scheme. Investigators say they bribed doctors to prescribe the company’s pain medication, even when it wasn’t necessary. When Rex Tillerson takes his seat before Senate Foreign Relations for his confirmation hearing to be secretary of state, one line of questioning will almost certainly concern his compensation -- primarily, his yet-unrealized $200 million compensation -- from the biggest oil and gas company in the world. California slammed the brakes on Uber’s self-driving car pilot program yesterday -- only a week after the ride sharing giant debuted its technology in San Francisco. The ride-hailing giant has been forced to pull its autonomous fleet off the streets of San Francisco after a meeting with lawyers from California’s DMV. Thinking of purchasing a “certified” used car? Buyer beware: A new federal rule allows auto dealers to advertise a vehicle as having been inspected and repaired even if it has been recalled for a safety notice, including potentially lethal defects. We outline some steps car buyers can take to protect themselves. It’s been a damp and miserable start to the winter in Britain, and there’s a Christmas cold bug going around. It seems even the gates of Buckingham Palace aren’t enough to keep it away, but as Mark Phillips reports, royals don’t get common colds... they get “heavy” ones. Russian hacks into Ukraine power grid sign of things to come for U.S.